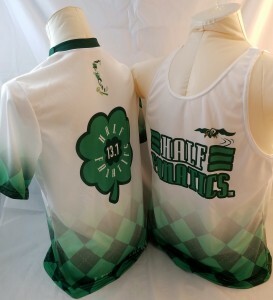 Introducing the new Half Fanatic St Patrick's Day themed shirt! Half Fanatic logo on front/ back and a smaller Main Fanatic on the upper back. Sizing: X-Small > Chest 36", Length 26.5"
Small > Chest 39", Length 27.5"